For Your Reading & Learning. This link below will take you to documents & pieces of information that you may be interested in reading. 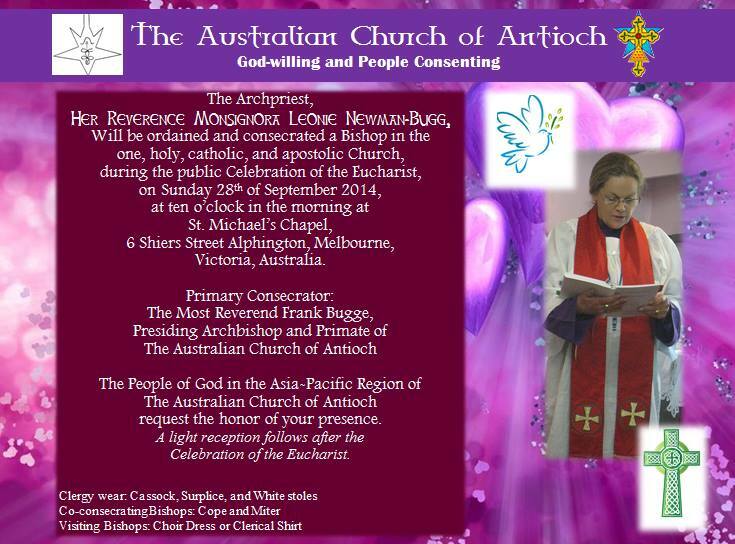 Amongst these documents you will find the Australian Church of Antioch's weekly Collect, Epistle & Gospel. Along with Bible facts, Esoteric information, different traditions, & general Information. Not all of what is here will be to your "liking", but I am sure there will be something there that shall interest you. Only way to find out is to look, and you should read with an open mind as to the "possibilities" of some of the things I may say being true. To help as you navigate around my website I have included "PAGE EMPTY" on those pages that have no information on them. The site will forever be a work in progress and by leaving those pages up with nothing on them you will be able to see some of the stuff that will be posted eventually. The Australian Church of Antioch closely follow much of Leadbeater's work. It appears that Leadbeater was not pro female ordination, the reason for this was that Leadbeater tried to ordain women priests, but with his clairvoyant sight he could see it did not work. If you see the comments on the relevant pages of our copy of the book you will see why he made this mistake. 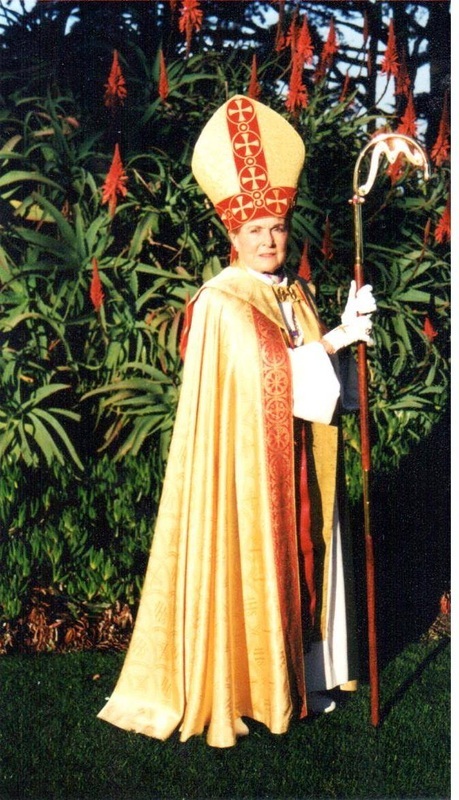 There are comments on Pages 20,41,42,78 & 237 by Archbishop Frank Bugge, Presiding Archbishop of the Australian Church of Antioch, explaining the differences between the male & female energy flows, how the censing sequence should be changed, and the Pectoral Cross worn by a Bishop. In the latest versions of this book, I understand that the information about the robes etc has been omitted as not necessary. We believe this information is imperative for the understanding of, & therefore working with, not against, the correct energy flows during a Eucharist. The reason that Leadbeater came to Australia was because he knew the female lines would be restored to the Christian Church in this country. Leadbeater did say that they would be restored soon, and indeed they were. He could not find them, but Archbishop Herman Spruit did, and bestowed those lines to the Australian Church of Antioch. MY FEATHERS HAVE BEEN RUFFLED!!! See my rant on "Did You Know"
Will be doing my first workshop towards the end of the year. So far it is planned for Saturday the 9th November. It will definitely be a Centre Workshop. Other than that, what, where & how is all up in the air! and there is but one Initiator"
Well with much fiddling & testing....this is what I have now done with the Blog, it is now called.... Did You Know. For the Collect, Epistles & Gospels you will now find them under Liturgy. Have made a few other changes here and there with links, design & a bit more info etc. So now that I have basically decided how to go about most things, hopefully some information will start to be added to the site slowly.